Other studios are expected to follow suit, and soon 35 mm may be only a memory. 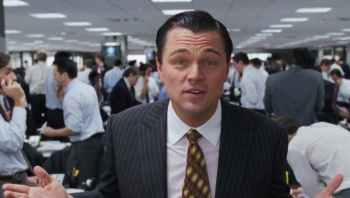 Paramount has quietly let slip that The Wolf of Wall Street is the first film it's released in digital only format. Other studios are expected to follow Paramount's lead, which could mean the death of 35 mm as a format within a year. "For 120 years, film and 35 mm has been the format of choice for theatrical presentations," says Jan-Christopher Horak, director of the UCLA Film & Television Archive. "Now we're seeing the end of that. I'm not shocked that it's happened, but how quickly it has happened." Paramount is expected to continue supplying 35 mm versions of its movies to foreign markets where cinemas may not be able to show digital product, as well as the vanishingly small number of US domestic cinemas that haven't switched to digital. However digital production is much cheaper, with discs costing perhaps $100 or less, while film prints can cost as much as $2,000 a pop. Come the day, the movie won't even need a disc; it'll be download only, straight to the cinema, eliminating shipping costs altogether. Disney and 20th Century Fox have both said that they'll be switching to digital only soon, but haven't made the leap yet. Paramount, though it's reluctant to be seen to be the first - film still has many passionate advocates, including Martin Scorsese, the maker of Wolf - is the pioneer this time out.